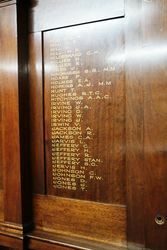 Moss Vale Roll of Honour commemorates those who served in World War One. 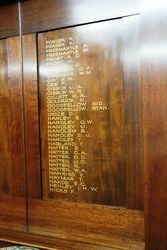 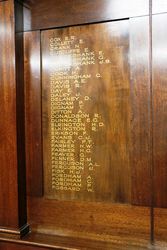 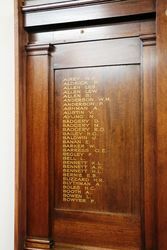 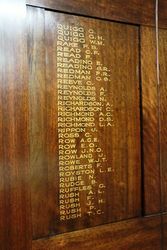 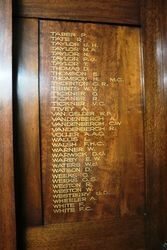 Two polished wooden boards, each with six columns of names. 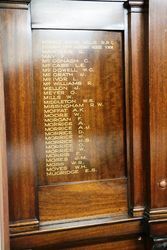 Moss Vale, Wednesday. 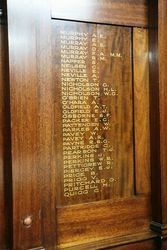 The Moss Vale and district honour rolls were unveiled by Mrs. E. B. Hawkins, wife of the chairman of the memorial committee. 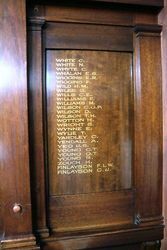 The memorial takes the form of a memorial stone, set in a memorial garden, with the names of over 60 men who gave their lives in the Great War. 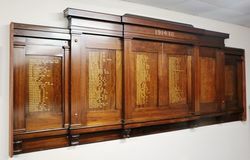 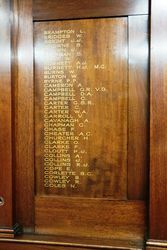 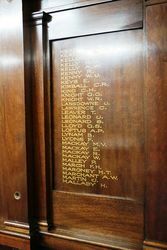 The honour roll consists of tablets of polished Queensland maple, bearing the names of over 400 men who enlisted, and two women, who served overseas. 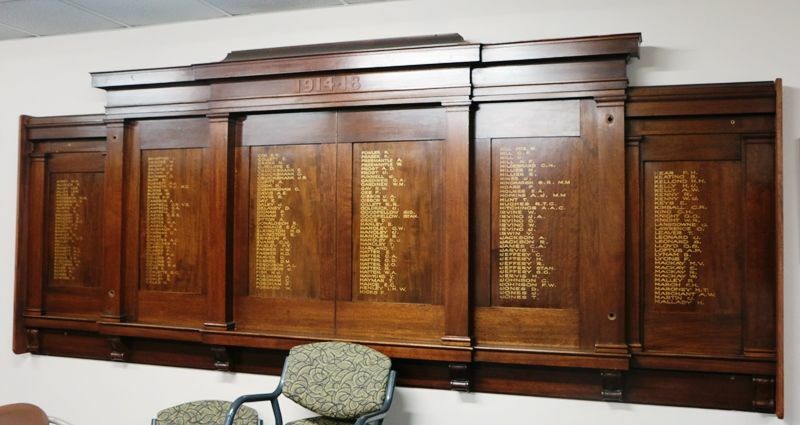 These adorn the walls of the soldiers' memorial rooms, the whole being set in a fine piece of land of three parts of an acre, fronting the main street. 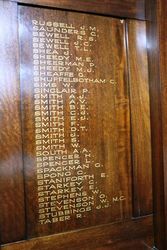 Goulburn Evening Penny Post (NSW), 15 November 1923.